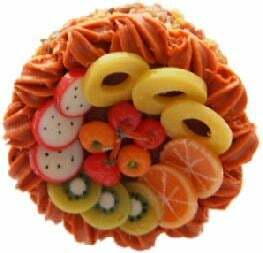 Tropical colourful fruit cake ring. Cake is handcrafted from polymer clay and painted. Silver plated adjustable ring base to fit any size finger. Due to the handmade nature of these types of products, styles and sizes may vary slightly from picture. * Not suitable for children.